The cover of this book brilliantly captures flavor of this contemporary romance. I don’t think I’ve ever seen a more appropriate book cover. The Ties Than Bind series continues with book two. Libby, the heroine’s best friend from the novel Charisse, has recently buried her mother to whom she’d been a devoted caretaker for many years. Now, at nearly thirty years of age, it was time for Libby to get on with her life. 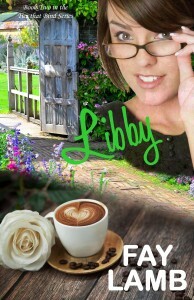 Had you told me Libby was a “romance” novel, I might not have been so eager to read it. But since I know this author’s work, there was no question it would definitely be worth the read. This book is so much more than your typical formula romance. An overtly Christian novel, it is a story of integrity, faith, victory, and God’s grace. I loved it, and I connected with Libby on the very first page. Libby Overstreet saw herself as plain and uninteresting—not the kind of girl that could attract the man of her dreams. When she compared herself to the beautiful and glamorous Hope Astor, in her own opinion Libby couldn’t hold a candle to her. Charrise and Gideon Tabor knew the beautiful soul of their long-time friend and believed in Libby. How could they help her believe in herself and make this meant-to-be match happen? Evan Carter dared to think he could turn Libby’s head. But could he keep his issues under control, and would she even give him a second glance once she learned of his past, his flaws, and the baggage he carried? Delilah James, is still a snappy character previously introduced in Charisse, and friend of Libby’s nemesis, Hope Astor. Hope Astor, the artist and quintessential party girl seemed to have her eyes set on Evan Carter. After all, they’d been friends and attended parties together many times. Could her coaxing and temptation possibly turn Evan Carter’s head her way? I had an opportunity to talk with the author about Libby. Pat: I think Libby’s inner self clicks with a lot of women, especially those of us who’ve suffered from a less-than-sterling self-image in the past, or maybe still do to one extent or another. Also, I know she was a support character in Charisse, but how did Libby materialize/develop in your mind? Fay: Libby introduced herself as a friend of Charisse’s that she’d grown up with in our hometown of Titusville, Florida, and she literally came on the line in a phone conversation that is still included in Charisse. Not the first one that opens the book (that conversation was added later). This conversation not only surprised Charisse. Libby threw me for a loop in that call as well. Libby presented herself as shy and timid, but there was a strength about her that couldn’t be denied. In the phone call, which Charisse makes to Libby because she’s very upset and needs someone to speak to about a situation regarding the hero, Libby became a comedian. She played off Charisse’s problems and by the end of the conversation both Charisse and I were laughing. The problem was, I knew (and the readers learn in Charisse’s story) that Libby is sheltered and lonely for friendship with others her age. Then why would she be the one to make Charisse laugh almost as much as Charisse’s hero, Gideon? I was able to explore Libby further in her own story, and I found a mirror of myself in this shy heroine. She is probably the character most like me, except she’s stronger in her faith, kinder to her friends, and braver than I’ll ever be. Oh, and I’ve learned I’m really not shy. I’m an introverted extrovert. Libby’s had a lot of hurt in her life, and someone did something to her as a small child that built up a false image that Libby carries about herself. She cloaks herself in that image, and it holds her back from her desires and for all the good things the Lord has for her. What she sees in herself is definitely not what Charisse sees when she takes on a daunting Judge Delilah James, what Gideon saw when she stood up to him and told him he’d better not hurt Charisse, and what Libby saw in the mirror when she looked was definitely not the face of someone no one but her mother could love. Evan Carter found her beautiful from the very moment he saw her. Libby has to learn the lesson that many women need to learn, including me. God looks upon our hearts. He created us, and He doesn’t create junk. Each of us is a masterpiece in the Artist’s eye. I still joke about my looks, but deep down inside, I know that someday Jesus is going to hold up a mirror in front of me, and all I’m going to see is Him. I fail quite often, and I struggle with remembering, but today, while I am here on this earth before Jesus holds up that mirror, I pray that I might be a reflection of Him for in His reflection there is nothing but beauty, and I want to work hard at keeping that image untarnished. Fay Lamb’s emotionally charged stories remind the reader that God is always in the details. Fay has recently contracted with Write Integrity Press for three series. Stalking Willow and Better than Revenge, the first two books the Amazing Grace romantic suspense series are currently available for purchase, and Charisse and Libby, the first two releases in her The Ties That Bind contemporary romance series are available. Look for upcoming novels in both series as well as the first novel in her Serenity Key series. Fay is a past-secretary for American Christian Fiction Writers. She served for four years as the moderator for ACFW’s critique group, Scribes. 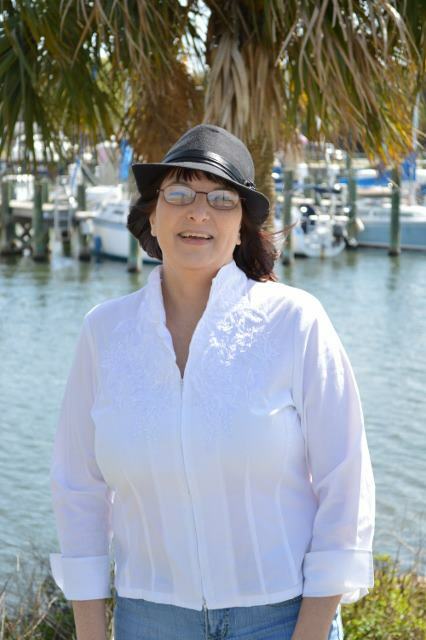 She is the past-president and a founding member of the Central Florida ACFW “Sonshine” Scribes and currently serves as secretary. Fay loves to teach workshops on the art of storytelling and her greatest passion is working with authors. Fay and her husband, Marc, reside in Titusville, Florida, where multi-generations of their families have lived. The legacy continues with their two married sons and six grandchilden. Fay also spends much of her time in Western North Carolina where she enjoys writing and watching the ever-changing beauty of the Appalachian Mountains. You can learn more about Fay Lamb by checking out her website, www.faylamb.com, connect with her on Facebook at www.facebook.com/fay.lamb and www.facebook.com/TacticalEd. Fay’s books are available at www. Amazon.com and other book retailers.